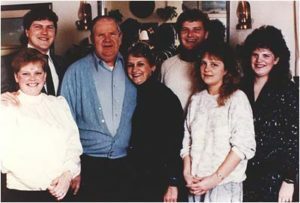 Sometime in the mid-1970s, Gloria Pitzer [quit] her job as food editor at a local paper because she insisted on giving readers the recipes they wanted, not the recipes her editor felt they ought to want. Still convinced that she was right, she took in ironing until she had scraped up enough to purchase a mimeograph machine, and started sending out a food letter, The Secret Recipe Report. 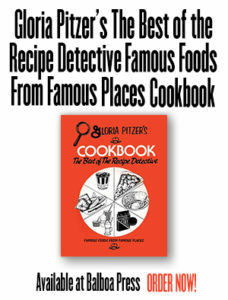 (Now called Gloria Pitzer’s Secret Recipes Quarterly, it may well be the longest-lived food letter ever.) 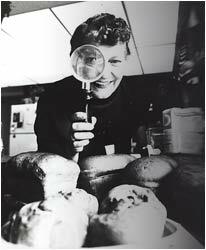 Ten years later she was making regular appearances on radio cooking talk shows all around the country and selling hundreds of thousands of copies of the cookbooks into which she was periodically gathering these “secret recipes,” most famously her Better Cookery Cookbook: Secret Recipes for Famous Foods from Famous Places. This triumph was built on the brilliant intuition that a lot of home cooks were tired of the recipes offered in most cookbooks and newspaper food pages. These, usually, break down into two general categories: dishes that, on the one hand, require the cook to tackle new methods and new ingredients for ends that may or may not prove worth the effort and, on the other, the all-too-familiar round of penny-scraping, time-cheating, fat-wary throw-togethers. What Pitzer understood was that while this was what her readers may have said they wanted, it was secretly what they yearned to escape. Although they might be afraid to admit this, even to themselves, what would most excite them would be to learn how to make the food they most loved to eat: the fast food they bought at McDonald’s or Kentucky Fried Chicken and the brand-name treats they brought home from the supermarket, stuff like Oreo cookies and Hostess Snowballs. 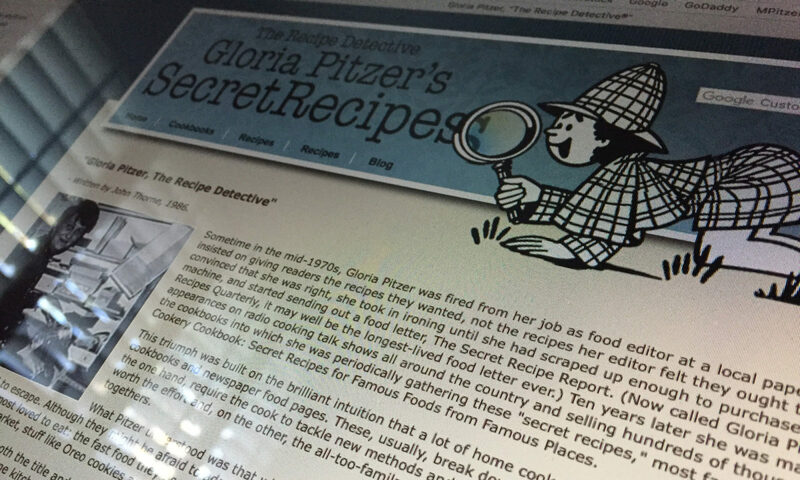 So, Gloria Pitzer assumed both the title and role of the “Recipe Detective” and set out to decode these foods — at least to the point where she could replicate them in her own home kitchen. And she succeeded at this beyond her wildest dreams — sometimes to corporate fury and sometimes to its amused acquiescence. Cookbooks offering homemade versions of popular restaurant and brand-name foods are nothing new. 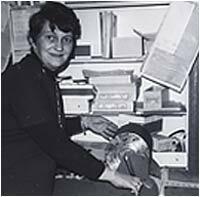 What made Gloria Pitzer different was both what she chose to replicate and how she chose to do it. 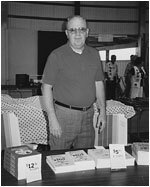 For instance, Helen Witty and Elizabeth Schneider Colchie, in their award-winning Better than Store Bought, eschewed brand-name replication entirely, teaching their readers instead to make corn chips or tomato catsup in a healthier and more economical fashion. These authors shrink from any association with the shameful thrill of a mouthful of Pringles or raspberry-flavored marshmallow fluff. In complete contrariety, Gloria Pitzer actively promotes what is vulgarly excessive about such things, instinctively grasping that it was the way junk food breaches culinary decorum that makes it so desirable in the first place. Consequently, her versions are often worse for us than the originals and, sometimes even more expensive to make. You would search in vain in Better than Store Bought for a recipe for Cheez Whiz; Gloria Pitzer gives us two. She also explains what we surely would always have wanted to know if we ever believed anyone would tell us: how to make Lipton’s instant cream of tomato soup, Eagle Brand condensed milk, General Foods “Suisse Mocha” instant coffee…and a host of other such familiars. Only Dream Whip has so far managed to stymie her, and that probably not for long. How does the Recipe Detective go about deducing the secrets of these patent formulas? By trying, tasting, and — when these are available — perhaps casting a very casual glance at the ingredient list. Indeed, what to my mind makes Pitzer a true artist is her lack of interest in with what exactly a particular product is made. As she puts if forthrightly: “I do not know, nor do I WANT to know what these companies put into their recipes.” What she wants to replicate is less it than the experience of eating it. So, to copy a forty-eight-ounce jar of Hellman’s mayonnaise, she blends the expected ingredients — oil, eggs, lemon juice, vinegar, salt — with some that you might not expect — three-quarters of a cup each of sugar and evaporated milk and two sticks of margarine. Then, to offset the incredible greasy richness that this produces (did I mention the six egg yolks? ), she ups the lemon juice and vinegar to a third of a cup each and the salt to four teaspoons. A spoonful of this mixture explodes in the mouth like a culinary hand grenade. Salt! Sweet! Sour! Fat! — all hit the taste buds simultaneously and with overwhelming intensity. This is cooking as an act of sensual violence. And while not all her recipes are like this, many are. Some go further. Taken as a whole, this cooking is to ordinary fare as scarlet-covered romances are to ordinary life…normal caution cast aside for the pleasure of total surrender to the charming — and surely not totally unscrupulous — ravisher. Such food doesn’t ask to be tasted; it compels the mouth to submit. The message: when pleasure forces itself on you, there’s no blame in yielding. Relax and enjoy it. Certainly, Gloria Pitzer herself treats the sweet-talking blandishments of her seducers as gospel truth. She writes with a straight face that the beef from which White Castle makes its hamburgers is “of such a high quality we can’t possibly equal it with what we buy in our supermarkets….” She spends months decoding Arthur Treacher’s “secret” fish fry batter and the Colonel’s “secret” eleven herbs and spices. It isn’t, of course, that I don’t think such secrets exist. I’m sure they do. I just don’t think they have all that much influence on anyone’s decision to buy Kentucky Fried Chicken. This may be why, when Pitzer and Colonel Sanders chatted together once on a radio program, he genially hinted that she look around the grocery store for a packaged mix that might contain eleven secret herbs and spices. Pitzer diligently did just that-to discover that the secret behind that finger lickin’ flavor was Good Seasons brand Italian salad dressing mix. Another cook might have been dismayed — some secret! — but Pitzer was thrilled. Here, suddenly, reality was replicating fantasy, her fantasy. Her final recipe — for three pounds of fryer parts — mixes two packets of the salad seasoning into a blend of butter, corn oil, Crisco, milk, lemon juice, and sage-and-paprika-seasoned pancake mix. Because it bombards us with pleasurable and un-resistible stimuli, junk food offers an immediate comfort that ordinary food cannot… a comfort that few of us can resist all the time. But as it coddles, it also betrays, for like many seducers it is not what it pretends to be. We know this, and we don’t care. There is eating where the mouth is inquisitive, aggressive, alert, and appreciative because it genuinely wants to get to know what it is devouring. Then, like an encounter between two strangers in pick-up bar, both looking for an easy one-night stand, there is eating that knows it had best not look too closely and just take it as it comes. Such encounters have their flavor, but that comes from a willed confusion of fantasy and reality, of appearance and substance, reinforced by the ambience of the bar and smooth talk that is at once sincere and empty. In the world of food, these things arise from the aura that is woven around the brand name, associations that persistent advertising persuades us to equate with our own sense of pleasure. This is why economy-minded mothers serve cheaper, frozen fried chicken to their family in a carefully preserved Kentucky Fried Chicken bucket — it’s the bucket, not the chicken (even less the herbs and spices), that provides the savor of this kind of eating. The sobriquet “recipe detective” might at first acquaintance sound like an attempt to become fast-food’s Philip Marlowe — a solitary seeker of truth stalking the mean streets of the Miracle Mile. In Pitzer’s case, nothing could be further from the truth. The persona she projects in her writing is not that of detective-avenger but of willing victim, the romantic heroine who refuses to let go the illusions that lead, over and over again, to the threat of seduction and betrayal. Food writing as Harlequin romance — it is in such terms, I think, that we should read her indiscriminate eagerness to justify fast food, her hymns of praise to those who make it, and, especially, her vilification of the writers who attempt to undermine its emotional solace. We should take it, that is, as defending not a belief so much as a dream. If you go by the commercials, the Big Mac, the Diet Pepsi, the Lay’s potato chip are all you need to transform a family meal or a gathering of friends into a joyous event; they are sold, that is, as Energizer batteries for human beings. Food, perhaps, should not be put to this purpose. But it is, and it works — at least for a time. Better Cookery Cookbook — the title is without irony, since it is merely mimicking the Betty Crocker Cookbook (in case you don’t get it, she adds on the next page, “General Thrills Foods”) — because of its self-illusions, is a compelling, even touching, portrait of the author’s, and by extension, many another’s, struggles with the junk-food dream. That unselfconscious honesty is what distances Pitzer from the more publicized mainstream writers on the pleasures of this world. The latter approach it as curious tourists in the land of Big Boys and Chicken in the Rough, tourists who keep their culinary passports in order so that they can get out at the drop of a hat. Gloria Pitzer actually lives there…and that makes all the difference. Dream Whip has so far managed to stymie her, but that probably won’t for long.